For years I have struggled with my skincare routine as I have skin as dry as a cornflake but I still manage to get craters of spots, not just little pimples them awful underground spots that take well over a week to heal. I had tried numerous cleaners and exfoliates that just made my skin irritated and even flakier. About two years ago I came across Lush Ultra Bland and decided to give it a try and I have not looked back. This is holy grail status for me. It is a balm substance that is very heavy. You just apply it to your face and wipe it off with damp cotton wool. I do this twice, only the second time I use my Clarasonic along with the Ultra Bland and then wipe it off. Now the reason I love this product and a reason why some girls will detest it is the fact after you wipe it off it leaves an oily residue on your skin and my skin adores this! Because of this I only use this cleanser at night time but it really heals and moisturises my skin overnight. I don't even apply a separate moisturiser after cleansing at night. In the morning I simply get a cotton pad and spritz it with Lush Eau Roma Water and wipe it all over my face and then I apply my Oilatum. I tend to keep my routine simple in the morning as if I cleanse my skin to much it can get irritated. When I get the dreaded crater spots I either apply iodine to them or pop a tiny amount of Brevoxyl on them and hope for the best. lovely blog :) found you via the BBU Blog Hop! My skin is ridiculously dry too! Unfortunately Lush just doesn't agree with my skin. But I do use Oilatum occasionally. Ps. 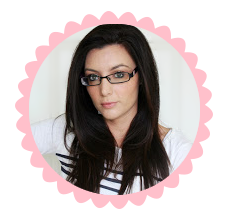 Found your blog through the chat and I love it! I've been meaning to try lush products! Will have to stop by the store! I love LUSH, too! 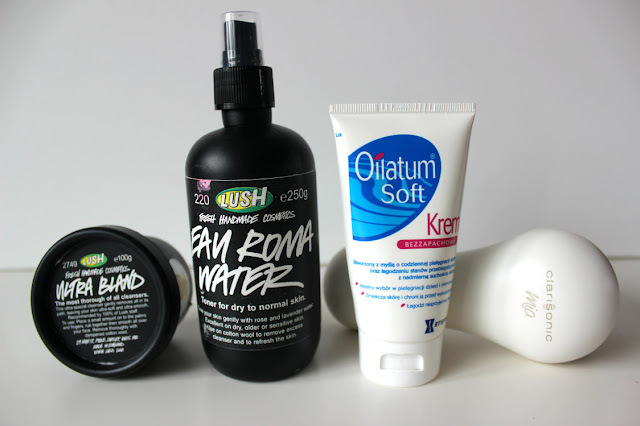 I also use the Eau Roma Water, and I use Celestial moisturizer, along with a Shower Smoothie of theirs! Have a great week! I love LUSH, but their products make my dry-ish skin even drier! It's so sad because they're all natural, but it's not very good for my skin. New follower from the ILMOF hop, would love the follow back! I love Lush! and my Clarisonic! I love Lush products! :) I'm a new follower, I've linked your button on my blog, perhaps you could linke mine too if you dont mind? :) Looking forward to more posts from you! Found you on The Things We Find Inside's blog hop. When I saw LUSH products in your skin care routine I knew I'd found a kindred spirit! Can't wait to read more of your posts. I found your blog through Blog Hop :) Check out my blog & follow if you would like.